We reviewed one of the latest entrant and powerful 2-ways sound system, which is selling like a hot cake in the market. Energy CS-30 soundbar comes with powerful 250W output sound bar and wireless subwoofer. Even before its release, this model created much hype in many home theater geek’s forums. The model comes with attractive specifications on the paper with affordable price tag. But our team was keen to know if this sound box is worth its price tag, despite impressive specifications and how good it is for long use? We investigated all these and here is our detailed review. 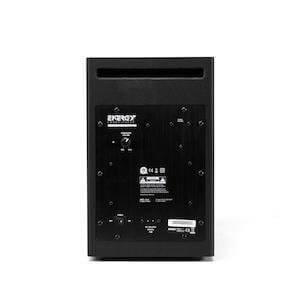 3D surround sound with power full 250W output. Easy to connect with all kinds of televisions and all Bluetooth enabled devices. Clear crisp sound with excellent details even at high volumes. High quality finish and elegant style. 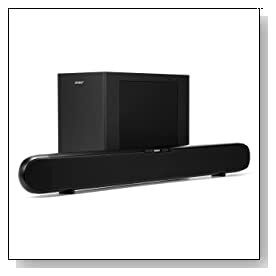 Having used the sound bar and subwoofer for few days, it is worth mentioning that this system will surely astound you. We tested the sound quality with our regular set of assorted albums and we were surprised with the results. Sound staging was excellent, we could hear each sound very clearly. Even at high volumes there was no audible distortions, thanks to its aptX Audio Coding Technology. By virtue of its great sound quality, we spent lot more time in listening different genres than we normally would do with speaker systems. As icing on this cake, the wireless subwoofer comes with 8 inch side firing driver and mighty bass. It was quick and easy to setup and start using the soundbar. Coming to the built-quality and aesthetics, the model is not an exceptionally attractive sound bar, but comparable with other premium brands. We were really pleased with its stylish design, which looks great below a large HDTV. From a distance, the Energy Connoisseur CS30 satin black sound bar really looks striking. Materials used for the outer body also looks premium and durable. We have seen many models coming to market recently at this price band. The big difference we observed is that Energy CS-30 has much better built quality. Not just boast of top-notch specifications on paper, but it also offers incredible sound quality. Overall, this Bluetooth sound bar redefines the term ‘value for money’ and is certainly a best model you can consider buying. If you’re looking for high quality sound output for your HDTV and the price doesn’t deter you, we strongly recommend this model.